I would still prefer the OLED base off the screen shots, but at either case - I hope this video gives more information on why LCD isn't a bad choice either. Yes, the XR is using OLED. 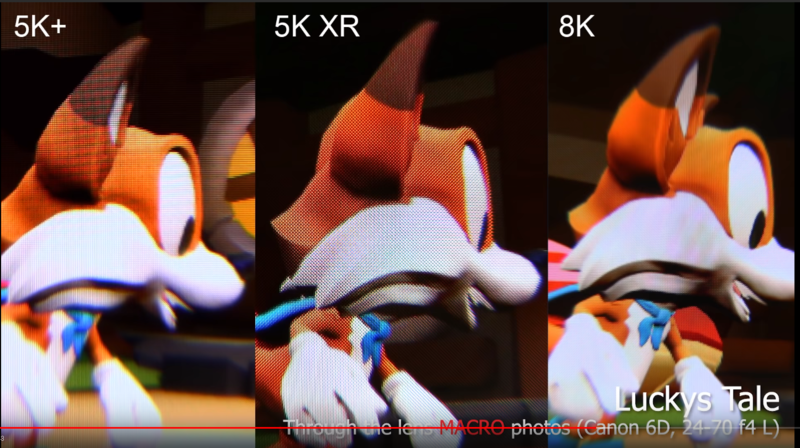 It's about the same look CV1 had even though its a higher resolution. It's one of the trade off with currently found in OLED. Until OLED gets full rgb you get a bit more SDE. On the other hand - you do trade color and blacks over what LCD gives you in return. Keep in mind these images are zoom in like he said - so you see a bit more SDE then you normally would. Not saying one is better - just talking about the trade offs and what we see. Over all - both sides are correct from what it looks like in terms of what OLED and LCD bring to the table and what trade offs they present. 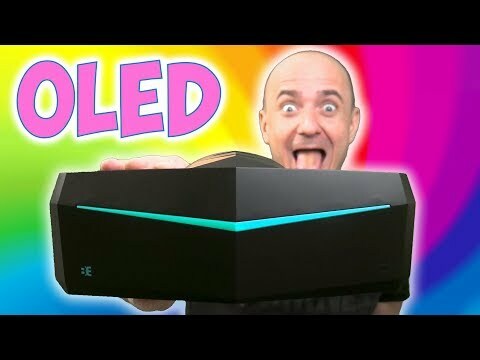 SweViver convinced me that LCD is better overall than OLED for VR. You lose black blacks but you gain better clarity. And I wasn't even aware of the black crush issue that OLEDs have. And now SweViver really shows you what "black smear" is which explains why Oculus uses spud or whatever to preven the oled pixels from going complete black. We just have to live with black that are not truly black. meh. SweViver is a trend hopper. His videos have zero redeeming qualities imo. His review of the Pimax was exceptionally detailed and critical. He does great work and puts in a lot of work. But you're entitled to your opinion. Everyone can watch this video for themselves and judge. indeed it is, we really need a shot to show the strengths of the oled i think. elite dangerous or affected or summat. The 8k really shines in that shot tho! That I would agree with. I put no stock in his reviews. I read SweViver's posts on the official Pimax forums. He was an absolute trainwreck. I'm not judging anyone who enjoys his videos. I just can't separate my view of him personally from whatever it is he tries to accomplish with his channel.